Choosing to move a relative into a care or nursing home is a difficult decision that can lead to guilty feelings. One of the sources of the guilt is the conflict that the responsibility of caring for the loved one is becoming too much, while feeling that turning to professional care will be ‘letting them down’. Often this decision can come at a time of crisis when an illness is progressing and daily interventions are required, particularly when coping with a loved one with dementia. 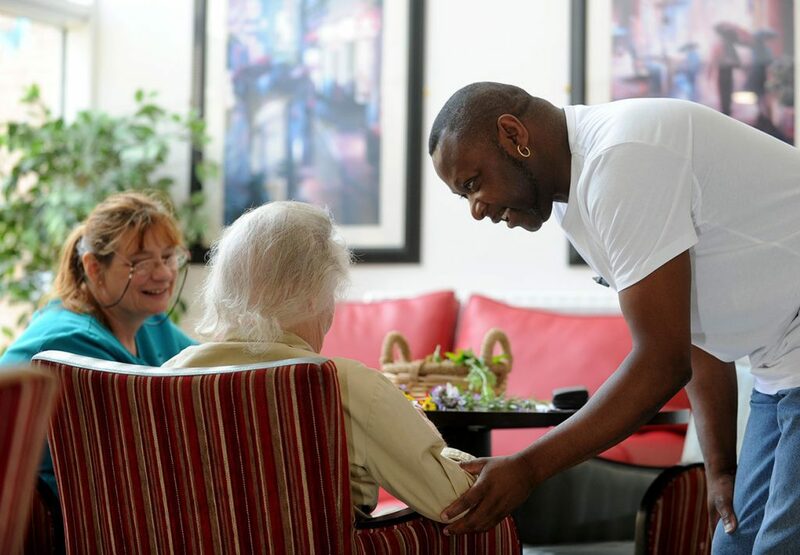 Gez Ossai, home manager at Wentworth Court nursing home for residents exclusively with dementia in Cheltenham, is used to reassuring relatives who have realised that a family member needs residential care. “Feeling guilty is a really common issue. It’s sometimes heightened by the fact that people wait a little bit too long before making the decision to look for a care home,” says Gez. Do those fears and anxieties settle down? “In the early days, the guilt is really evident,” says Gez, “but after a few weeks what they find is that the loved one is really being looked after and they don’t have to do personal care, such as coping with incontinence; they don’t have to feed or hydrate him or her and when they come to visit they actually get to spend quality time with their relative. The team at Wentworth Court are used to seeing the journey from guilt to relief and often witness the primary carer, usually the spouse, son or daughter, blossom when the worry of day-to-day care has been lifted from their shoulders. Choosing the right home is the first step in meeting the loved one’s changing needs. You can read more about choosing a nursing home for a family member with dementia here. Interested in finding out more about life at Wentworth Court? Give Gez and the team a call on 01242 263334 or pop by the home at Village Road, Cheltenham, GL51 0BG.